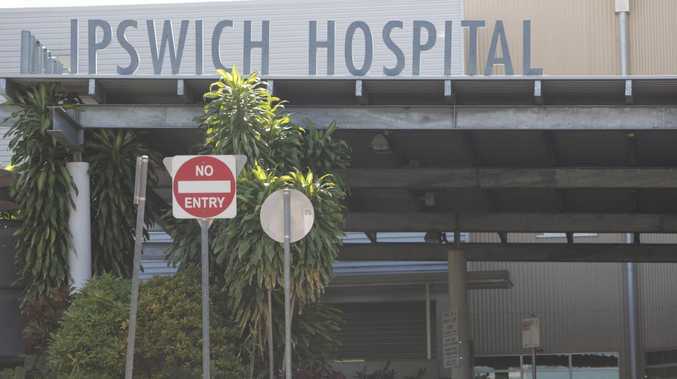 THE man shot dead at Ipswich Hospital on Saturday night was on the run from Victoria Police. Victorian man Tyson Jessen, 28, was wanted on several warrants by Victoria Police in relation to armed robbery offences. The Courier-Mail understands he had a significant criminal history. Victorian man Tyson Jessen, 28, was shot dead by police at Ipswich Hospital. Queensland Police is "very lucky" not to have lost an officer during the incident, the union says. A senior constable shot Jessen after he attacked her, police said. 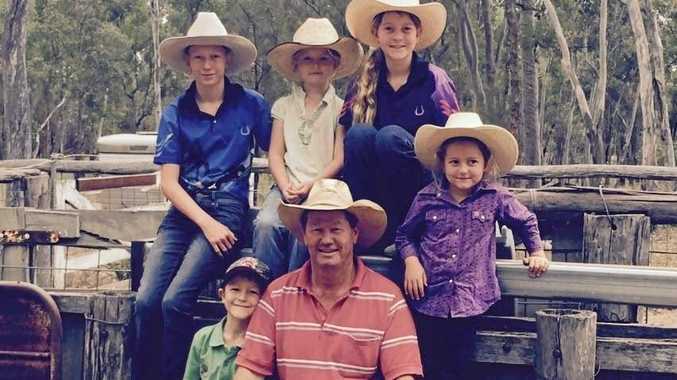 Queensland Police Union president Ian Leavers said the officer acted bravely and professionally when her life was threatened. "The actions of the police officer involved were just incredibly brave, she showed great restraint," Mr Leavers said today. "We are very very lucky we did not have a police officer murdered last night." He said the officer was recovering from serious injuries. The man had been arrested on serious matters on Friday before being taken to hospital for medical treatment by two police officers. At some stage the man turned violent towards the female officer, police said. "What occurred last night was simply horrific," Mr Leavers said. "The matter is now before the Coroner but when all the details unfold it will show how professional and courageous the acts were of all police involved." The incident was reported about 9pm. A female senior constable suffered "relatively serious facial injuries" before firing at the man. The man was treated by hospital staff at the scene but was declared dead as a result from his injuries. The female police officer was treated at the hospital but was released by this morning. "She's been released and is at home. She's receiving some care from the police union," Inspector Michael Trezise said. Inspector Trezise today said it was a "very traumatic" incident and the officers involved were receiving support. "It's the most difficult decision an operational officer can make, it's made under stress and under time pressure," he said of police using lethal force. The man had been arrested on Friday and it's believed he was in custody at the police watch house when he was taken to Ipswich Hospital on Saturday. A police source told The Courier-Mail the man was wanted for "serious matters" and was in the watch house before he had some kind of turn, some sort of medical problem, and he was taken to the hospital where police were guarding him before the altercation. Earlier there was speculation he may have faked an illness. A police source last night said officers had no choice but to shoot the man. "Police had to use lethal force," the source said. Police say the Ethical Standards Command is investigating on behalf of the State Coroner with the assistance of the Crime and Corruption Commission. Commissioner Ian Stewart was last night informed of the incident. Officers were to be interviewed by investigators overnight. Inspector Trezise said the number of shots fired and other details would form part of the investigation. He said there was no links to terrorism. The shooting comes just a year after a coroner recommended training for officers to help them deal with people suffering mental health issues - after an inquest examined a spate of police shootings. State coroner Terry Ryan delivered 19 recommendations; including that Queensland Police Service employ around-the-clock mental health clinicians to help deal with people suffering mental issues. The Queensland Government was urged to review its Mental Health Intervention Project and continue funding for body-worn cameras, so all officers have one. The coronial recommendations came after the unrelated fatal police shootings of five men.